- "Grasshoppers" is printed onto the back of the collar. - "First club in town" (they are the oldest club from Zürich) is printed on the inside of the collar. This shirt has a curious design. Why is there a random white section on the front right side of the shirt. This stops the shirt from being symmetrical which is a classic rule of designing a football shirt. 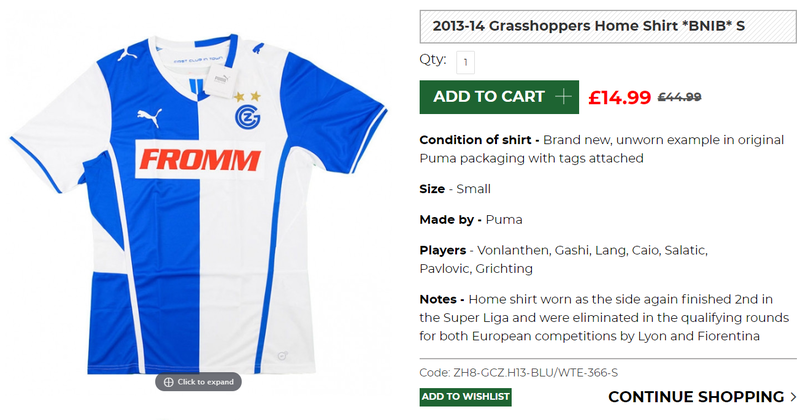 The sponsor on the front is also placed too high on the shirt for my liking. I almost bought the away shirt as it is predominantly pink.